UK to have incredibly secure, durable, technically advanced, net-zero carbon footprint, blue passport. Following a rigorous competitive process which rated each bidder against strict requirements, including security capabilities, processes, technical quality and the value for money for the taxpayer, Gemalto, an international French-Dutch security company with substantial operations in the UK, won the contract to produce the new British passports. Originally made in northern England by De La Rue, the printing firm lost the tender for the new passport after being undercut on price. De La Rue’s contract, which ends in July 2019, is worth 400 million pounds (US$566 million). Mark Thomson, Director General for Her Majesty’s Passport Office, said “I am delighted that we have awarded the contract to design and produce the new blue passport. I look forward to working with Gemalto to continue to deliver a world-class service to British nationals around the world and keep the UK passport as a global leader of document security.” The contract is for 11.5 years, including 10 years of production and issuance services. 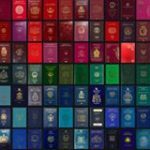 As a pioneer of cutting edge government document design, Gemalto is confident that the new passports will be the most attractive and one of the most technically advanced passports in the world thanks to a combination of high-end security features. For the first time, the British passport’s biographical data page will be made from polycarbonate instead of paper. This material makes the document extremely secure; any attempt to tamper with it causes visible damage, as well as more durable than paper, preserving the integrity of the document over its lifespan. The digital component of the new British passport will rely on a highly secure Operating System designed to comply with International Civil Aviation Organization standards, developed and secured in-house by Gemalto. Moreover, Gemalto will be manufacturing the first CarbonNeutral® certified passport. The carbon footprint of the new British passport will be independently measured, validated and reduced to net zero in line with The CarbonNeutral Protocol – the global standard for carbon neutrality. Gemalto has extensive experience in developing secure government documents; its products and solutions are deployed in more than 200 active government programs worldwide including over 40 ePassport programs. It has pioneered secure document techniques, including polycarbonate data pages and a wide portfolio of visual and tactile features to protect citizens’ identities with top results in the various benchmarks organized by the industry. What about the UK’s Post-Brexit Passport ranking? The Passport Index analysts claim they don’t foresee any immediate changes, though the separation from the EU would mean some countries with agreements with the European Union would have to renegotiate visa requirements once more, solely with the UK. Analysts are also stating that the separation can also enable the post-Brexit passport to move up faster in their visa-free ranking, as it no longer must comply with every other member state. What other changes do you expect to see with the new British passport? Let us know your thoughts below!